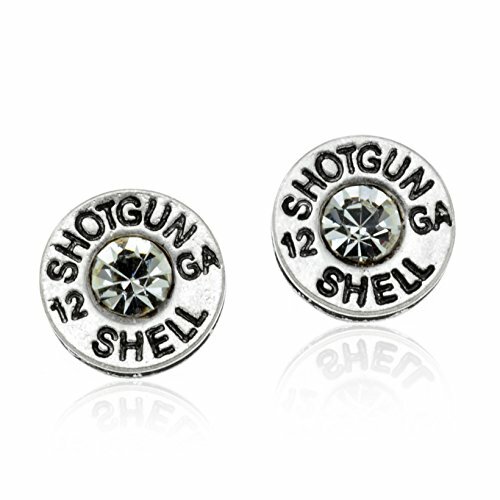 Here is a simulated pair of two-tone bullet casing post earrings with 12 GA SHOTGUN SHELL imprinted. Earrings measure 1/2" in diameter on post backings. Comes in gift box. If you have any questions about this product by PammyJ Necklace, contact us by completing and submitting the form below. If you are looking for a specif part number, please include it with your message.